The “Inukshuk” robot was a second-year undergraduate engineering design course project. The purpose of the robot was to inspect and report the colour of stickers on both sides of plastic bins arranged in a row, while avoiding poles that obscured its path. I programmed the robot and assisted with the physical design and fabrication of several circuits. 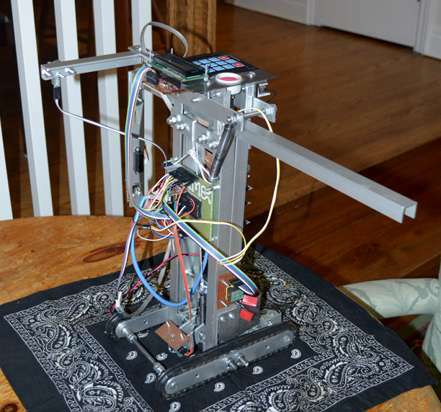 The robot was programmed purely in PIC assembly language (mpasm) on a PIC16 microcontroller. The other two members of my team created and fabricated the majority of the circuits and the robot structure itself, including mounting of electronics within the robot. The robot and its electronics were entirely modular, allowing components to be easily modified or replaced, or additional components to be added. We modified the reflectance sensors used by the robot to increase their range of accuracy by a factor of five. The entire Inukshuk robot. Its structure was entirely made out of aluminum due to its strength and low mass. The robot moved using metal treads, and inspected bins using a motorized arm equipped with reflectance sensors. 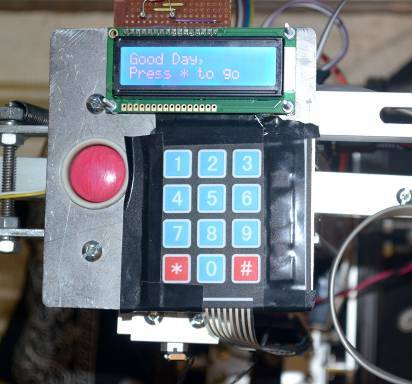 The user interface for the robot, including a character display, keypad, and emergency stop button. 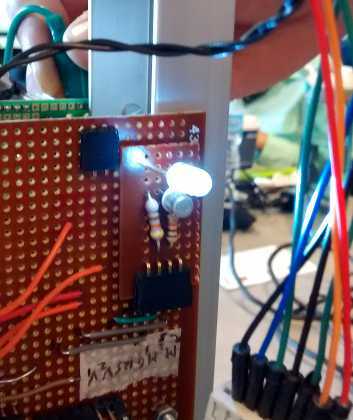 A modular LED board mounted on the robot. We chose to make the circuits in the robot modular to allow components to be swapped in the case of failure.